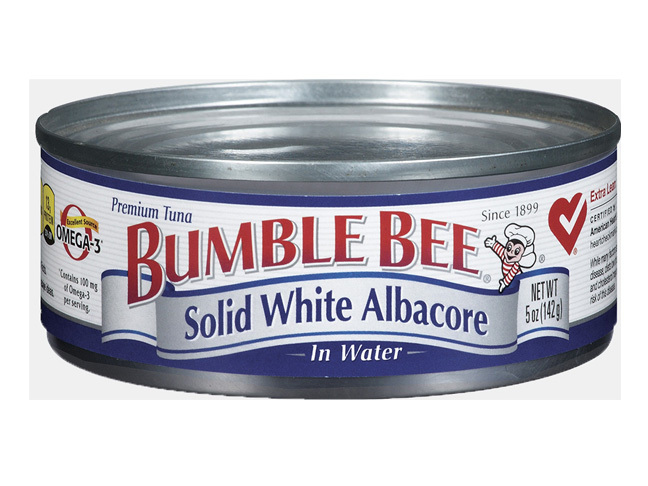 On March 6, 2013 Bumble Bee Foods, LLC issued a voluntary recall for specific cans of 5-ounce Chunk White Albacore and Chunk Light Tuna products. The recall has been issued because the products do not meet the company’s standards for seal tightness. What Do I Need to Know about This Recall? This recall has been issued because the above food products do not meet the company’s standards for seal tightness. Loose seals or seams may result in food contamination by spoilage, organisms, or pathogens and may lead to illness if consumed. There have been no reports of any illness associated with these products. What Should I Do if I Purchased One of These Tuna Products? Stop using this product immediately and discard it. For any questions concerning the recall or reimbursement, consumers can contact Bumble Bee Consumer Affairs 24 hours a day at (800) 800-8572. 2013 MTV Movie Awards Nominations – Full ListJessica Simpson Accidentally Reveals Her Baby’s Gender!